Below are a number of unique baby shower ideas including surprise baby showers, new grandma baby shower, a baby shower for daddy or a couples baby shower. 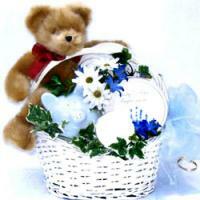 There are many baby shower types and welcoming a new baby is an exciting event. Plan an unforgettable baby shower. There are different types of baby showers to cover just about any occasion. Baby Showers have been traditionally for Ladies only. But in this day and age, you can plan a baby shower for just about any kind of group. 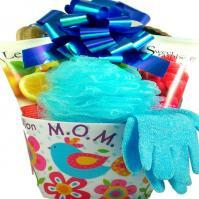 The most common of the types of baby showers is a baby shower for mom. When you have only women at the shower, you have the opportunity to really "girl it up", so to speak, at your baby shower for mom. You can do really girlie things and not have to worry about the men being bored or embarrassed. Baby shower for daddy is another of the types of baby showers. No one would realistically expect a new daddy-to-be to sit around with his closest buddies. Opening baby shower gifts and playing party games while oohing and aahing over the imminent birth of his child. But that doesn't mean that Dad can?t have a baby shower-type celebration.